The River Tame still forms the boundary between Sutton and Water Orton, as it did in 1824 when Mr. Harris the Commissioner made his survey. It is probable that early Anglo-Saxon settlers, using the rivers to penetrate to the heart of England, established villages at Curdworth and Minworth - did they also colonise Sutton from the river? 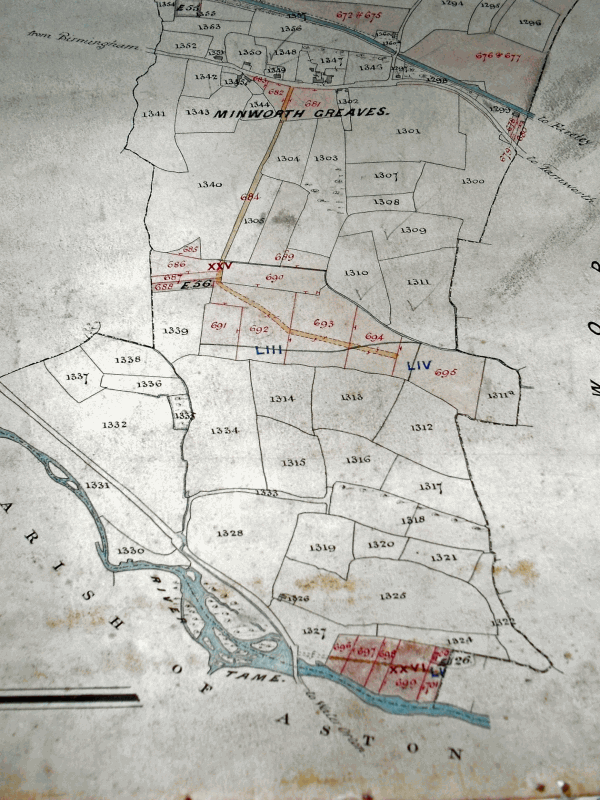 Probably not, as the name “Sutton” means “town to the south”, but Sutton lies north of the river, and the district of Sutton with a river frontage, called Wigginshill and Greaves, was not part of Sutton at the time of the Domesday survey of 1086. The Commissioner recorded the boundary as being the middle of the River Tame up to Water Orton, passing under the centre arch of Water Orton Bridge. Then the river widened with several large islands, the boundary following the third branch of the river, “leaving the first ash tree considerably to the left and another ash tree a little to the right”, continuing along the river nearly as far as the mill. At Water Orton Holmes, according to Twamley, the boundary should have brought more of the islands into Sutton but the Earl of Bradford (of Castle Bromwich Hall) had laid claim to them and harvested the alder trees growing there (the finest quality of gunpowder was made using alderwood charcoal).